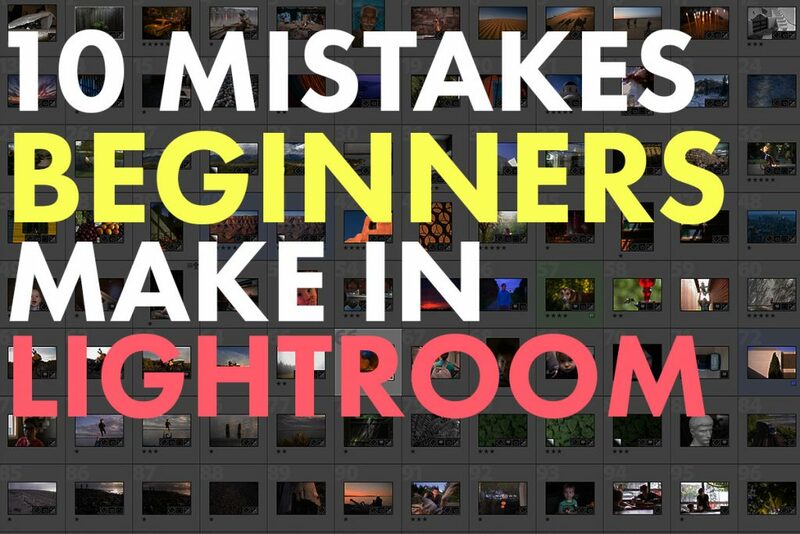 10 Mistakes Beginners Make In Lightroom Are you making these common errors? 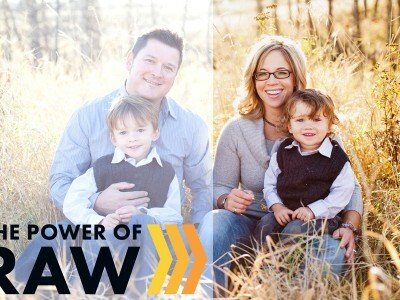 Lightroom is an incredibly fun and powerful photo editing program that can help you transform the look of your images! But with great power comes great responsibility, and it’s very (very) easy to start making mistakes in Lightroom when you don’t fully understand it. Those mistakes can actually make your photos look worse (UH OH) so today let’s cover some of the most common mistakes so you will know to avoid them. Now, with all Lightroom adjustments, there is no right or wrong. It’s definitely a matter of preference. But my personal metric for determining if there is too much editing is when the post-processing becomes more prominent than the actual content of the photo itself. If you’re noticing the effects before you’re noticing the subject, that’s too much editing, in my opinion. And on the flip side, it’s easy to hold back in your editing for fear of doing too much! Life is complicated, isn’t it??? This is one I’m still often guilty of. And it’s not a huge deal – I’d say it’s not as bad as going too far. But not going far enough can often leave your photos looking a bit dull, and you’re not getting the maximum potential out of them. It’s a tough balance. This is how, my friend. You check your progress as you’re editing by using the Before/After feature in Lightroom. With a quick press of the backslash key (“\”) you can see the original image, and then another press will show you your current progress. Going back and forth often will help you to understand how much you’ve done, and keep you in touch with the original. Getting into the habit is the best way we’ve found of really dialing in that sweet spot where you’re making big improvements, but not getting out of hand. PRO TIP: You can also take Snapshots of your editing progress at different points. You can take a Snapshot if you like the results, and then try going even further to see how it looks. A Snapshot makes it easy to go back to that previous point if you decide you liked it better! Now, I said that there’s no such thing as right or wrong when it comes to editing. But there are definitely some adjustments you can make that will actually decrease the quality of your photo. And I think we can all agree that’s something we want to avoid! One of the biggest mistakes here is making adjustments that clip the tones in your image. By that I mean you lose detail in the highlights or shadows. The highlight tones turn completely white, with no detail. And the shadow tones turn completely black, with no detail. That isn’t awesome, guys! 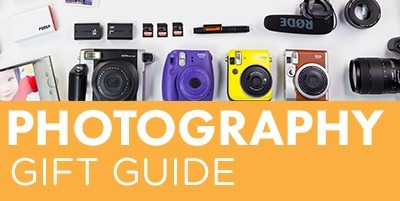 You want to keep detail in your photos so you can see all the wonderful things you photographed, right? Ok so don’t panic. There’s a really easy way to make sure you aren’t clipping your tones. 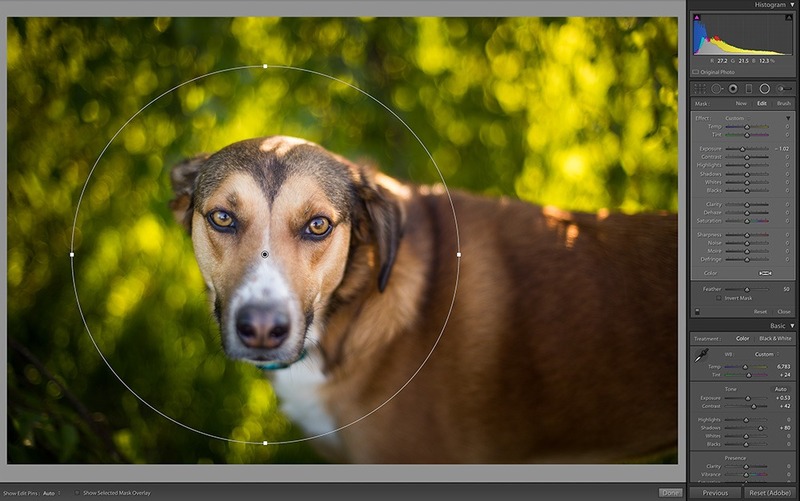 In Lightroom, press J, and you will get to see if any tones are being clipped! The clipped highlights will show up as red, and the clipped shadows will show up as blue. 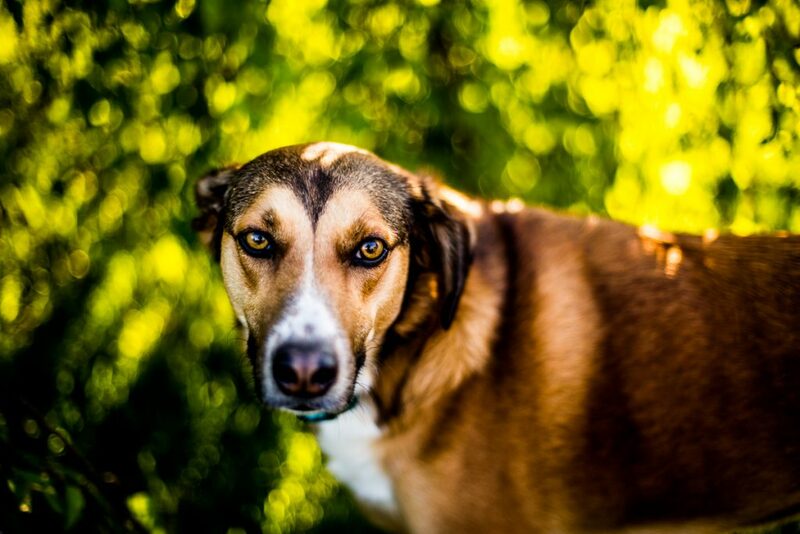 Then you can adjust your exposure to bring those tones back. MAGIC! There are a LOT of tools in Lightroom. Like, a lot a lot a lot. And I’ll be totally honest, for most images I only use the Basic panel. Those few sliders can make a huge difference. But there’s a reason Lightroom has so many tools. In certain situations, they are all incredibly useful, if not essential! For example, we find both the Adjustment Brush and the Radial Filter to be super powerful, especially in making more localized adjustments. A lot of beginners will just stick to the Basic panel for every single situation, because it’s the simplest one. But if you want to progress, and take full advantage of everything Lightroom can do, you need to learn how and when to use everything. Throughout Lightroom there are many tools that seem similar, but are actually quite different. Without knowing the differences you can be limiting your ability to get great results. For example, there’s Saturation and Vibrance. At first glance, they seem to do very similar things – they increase the intensity of color in the image. But digger deeper, there’s actually a really important distinction. Saturation increases the intensity of ALL of the colors, while Vibrance increases the intensity of most of the colors, but preserves the skin tones, so that they don’t start looking unnatural. Using Saturation on portraits can often give you wonky results (see above). It’s much better suited to landscapes! 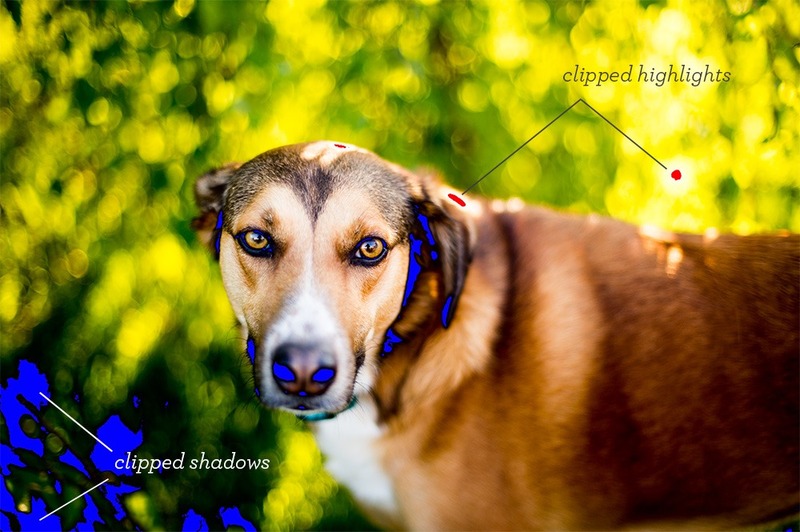 You need to really know what each adjustment does before you start slapping them on your images! If you’re going to really take advantage of Lightroom, you NEED to shoot in raw. Very simply put, you have way less flexibility with a JPEG file in Lightroom. There just isn’t as much data to use to make all these adjustments to the image. So this one is simple: shoot raw to really get the most out of Lightroom. Lightroom has a bunch of tools that can make it really fast to edit multiple photos. It’s a huge advantage Lightroom has over Photoshop, so you really need to be taking advantage of these features. Very simply, if you’ve edited one photo, then move to the next and think it could benefit from the same adjustments, just hit the “Previous” button. “Oh, that’s easy!” you say. Yes, it is. Hold tight. There’s more. 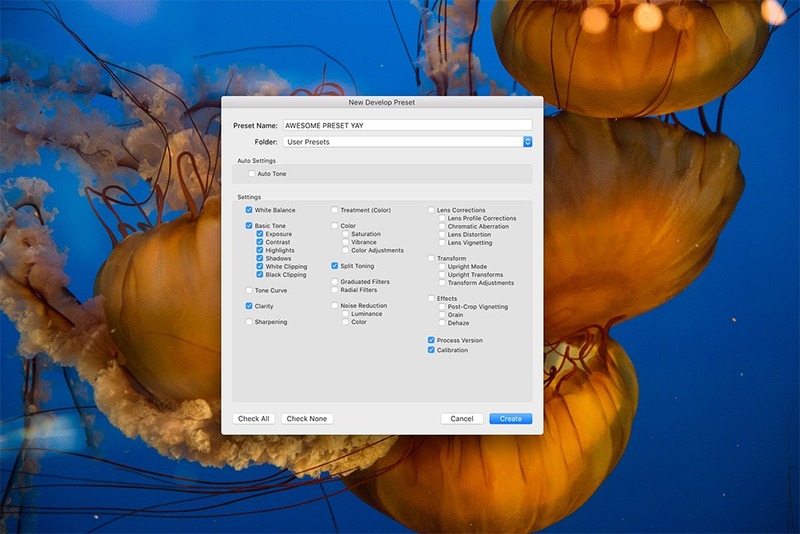 If the photos that are similar aren’t beside each other, you can also use Copy/Paste from the Develop Settings menu that pops up when you right click. Or if you’re feeling bold, and want to make 100 photos all have the same adjustments, just edit the first one, select them all, and click Sync. Bam! Done. 100 photos edited in minutes. Miracles do happen. Presets in Lightroom are another way to save time, and make your editing quicker, easier and more consistent. And you don’t have to shell out hundreds of dollars for them. You can make them yourself in seconds! If you find yourself making the same adjustments all the time, then just click the + button on the Presets panel and voila, you’ve made a preset of them. Apply it to another photo, and see if it looks good. If not, just tweak it a bit until you hit the right balance. It’s seriously that easy. And this way you’re getting your own style into your images, instead of just relying on a pre-made style with purchased presets. There’s definitely nothing wrong with purchasing presets, they can really help you learn a lot! But I’d suggest even tweaking those ones, and making your own versions to get a unique version that’s perfectly suited to your own style. 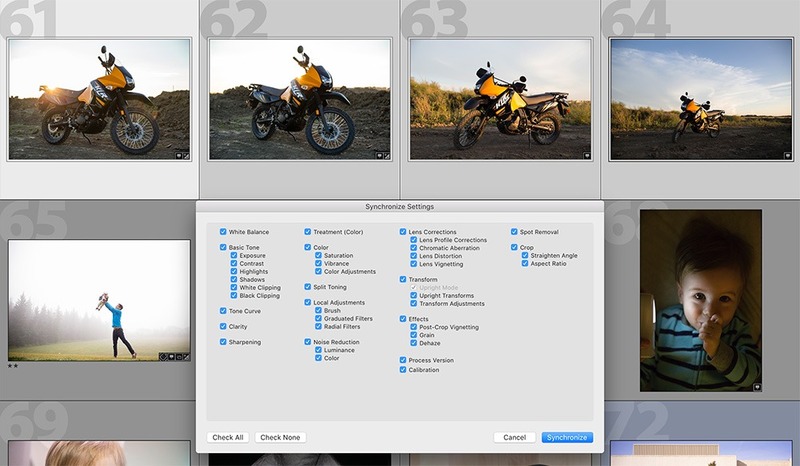 Lightroom has a lot of organization tools built in that don’t get nearly enough press. Sure, all the editing stuff is what really has the wow factor, but over time, the more effort you put into organizing your images, the happier you’ll be. I have collections for different trips, different projects, different people, general topics, portfolio quality photos, and more. And I use these Collections all the time. 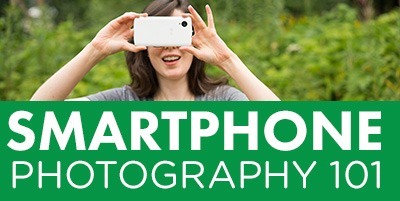 It’s fast and easy to make them, and super simple to add photos into different collections. 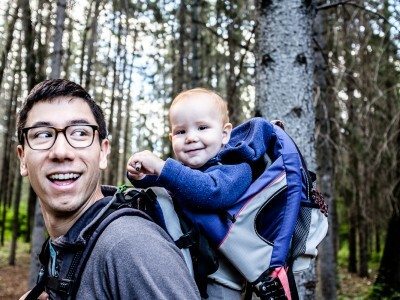 This doesn’t seem like a big deal when you first get started, but as your photo library grows, you’ll find yourself spending more and more time just trying to hunt down photos. Ok, now that you have a Collection created we’ll wrap this up. You can see that there are a lot of mistakes that can be made in Lightroom, but don’t let that scare you. Just being aware of them is a huge first step. If you take the time to really understand the program, and how to get the most out of it, you’ll be well on your way to creating amazing images with it! And, most of all, remember that learning Lightroom, and the entire process of editing your photos, is a marathon, not a sprint. You can learn the basics in a day, and then spend years and years discovering just how to use those tools and techniques on your photos, and exploring your own personal style and approach. And that’s the fun part right? It’s just another creative adventure in the life of a photographer! Yay! Want to learn how to use Lightroom? Discover what all the tools do, and figure out when and how to use them? 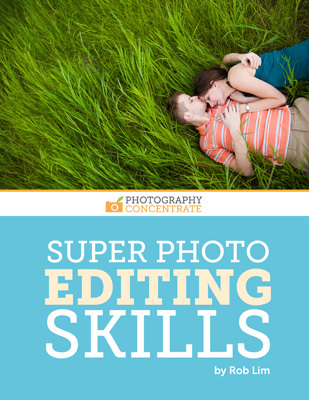 Check out our popular tutorial Super Photo Editing Skills! It is a video tutorial that will show you exactly how the different tools affect your images, making it faster and easier to conquer this powerful program! In just 7 hours you’ll be well on your way to Lightroom mastery. Easy! Have you made any of these mistakes in Lightroom? (I’ve made them all a thousand times, so don’t be shy!) Are there other ones you’ve discovered? Share with me in the comments now! 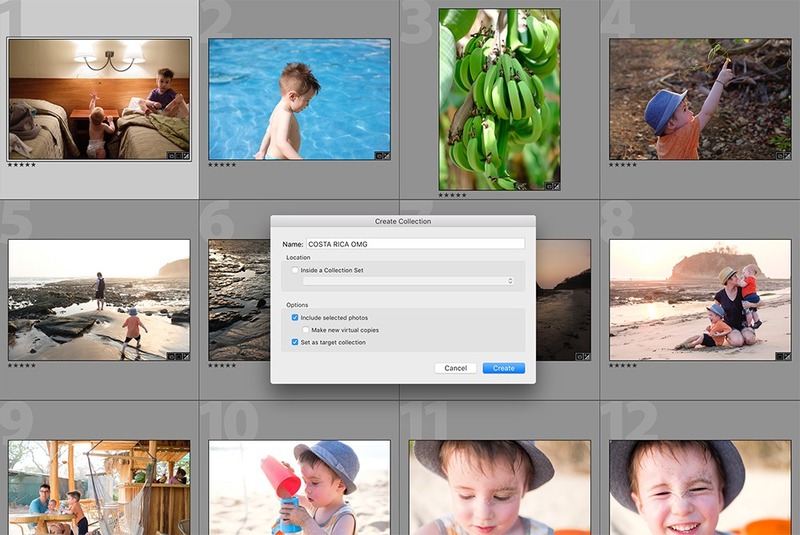 Bring out the best in your photos with this step by step video guide to using Adobe Lightroom. Become an editing guru in just a few hours, or do it at your own pace.